This upscale hotel highlights the best of European heritage, inspired by its Argentine roots. It provides a space for different works by local artists, such as the imposing sculpture by Gerardo Wolgemuth, which takes center stage in the lobby. Allow yourself to be amazed by this 5-star hotel's architecture, inspired by a utilitarian style, which will take you back in time to the 17th century, a testament to how such a universal material can be fashionable and retain its value over time. From Ezeiza International Airport, take Ricchieri highway and continue on the 25 de Mayo highway as far as the Constitución exit. Turn left onto Av. 9 de Julio and go straight on. Take the second exit toward Av. Libertador and then turn left at the La Rec ova area (Calle Posadas). The hotel is two blocks away on the left. From Jorge Newbery Airfield, take Av. Rafael Obligado and turn right onto Av. Sarmiento. Continue as far as Illia highway. At the exit, make a U-turn and take Calle Posadas. 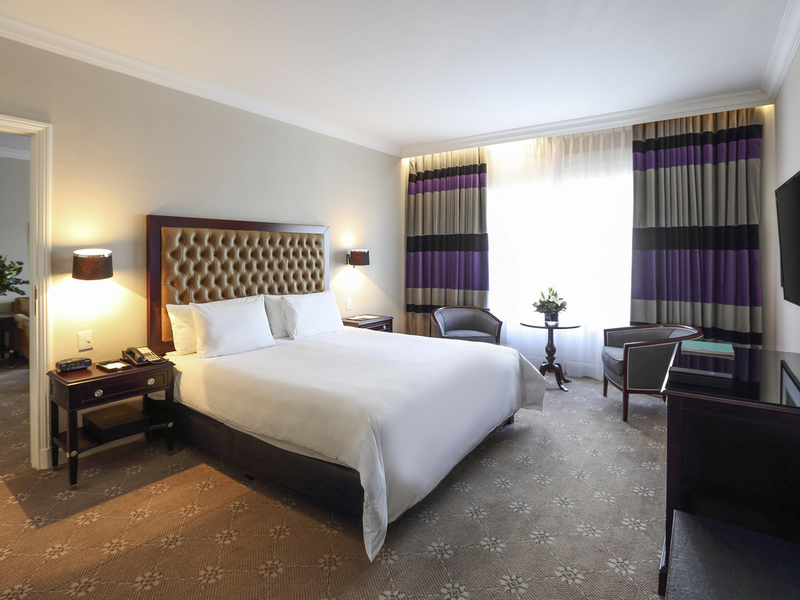 The hotel boasts 175 spacious and elegant rooms, including 17 suites measuring between 538 and 3229 sq. ft. (50-300 m2). 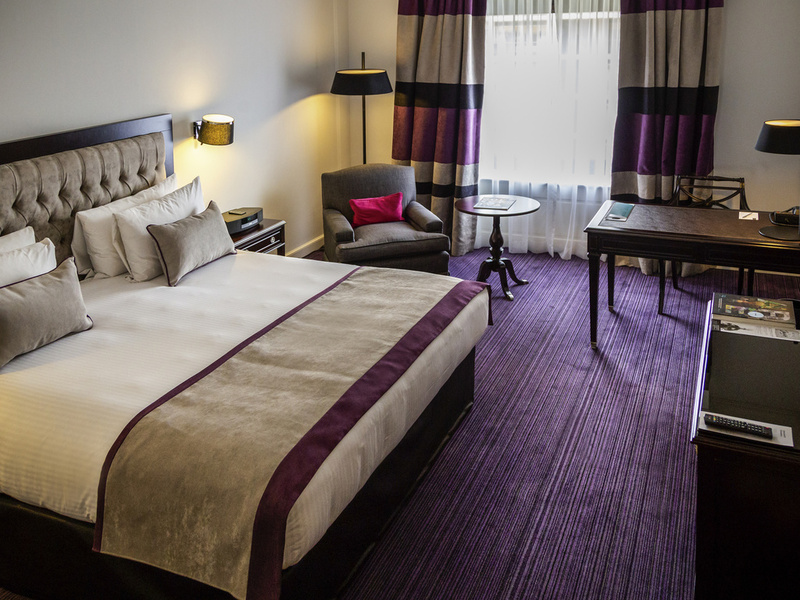 Enjoy views of the city, the river or the hotel's garden. 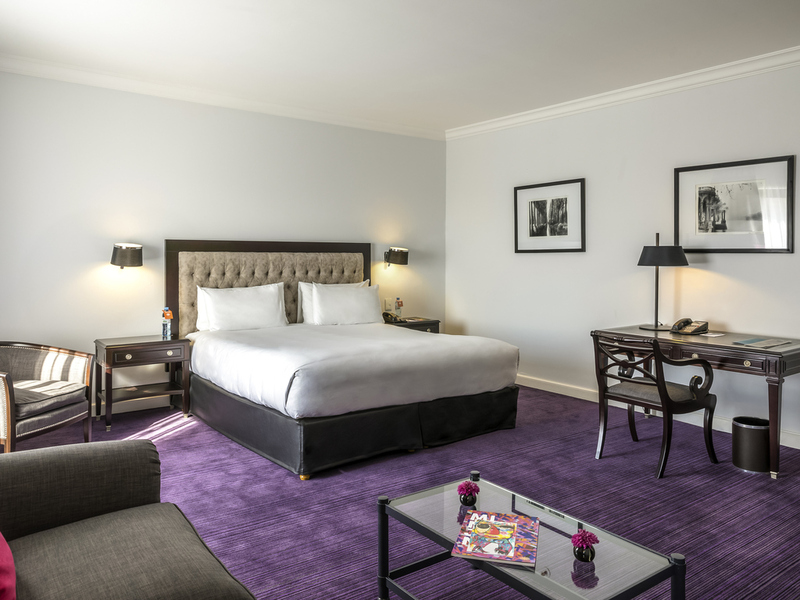 All rooms feature complimentary WIFI, minibar and 24-hour room service. Experience an unforgettable stay in one of the six Prestige Suites with living room and library, or in the imposing Imperial Suite, on the 18th floor with panoramic views of the city. A modern, spacious room measuring 388 sq. 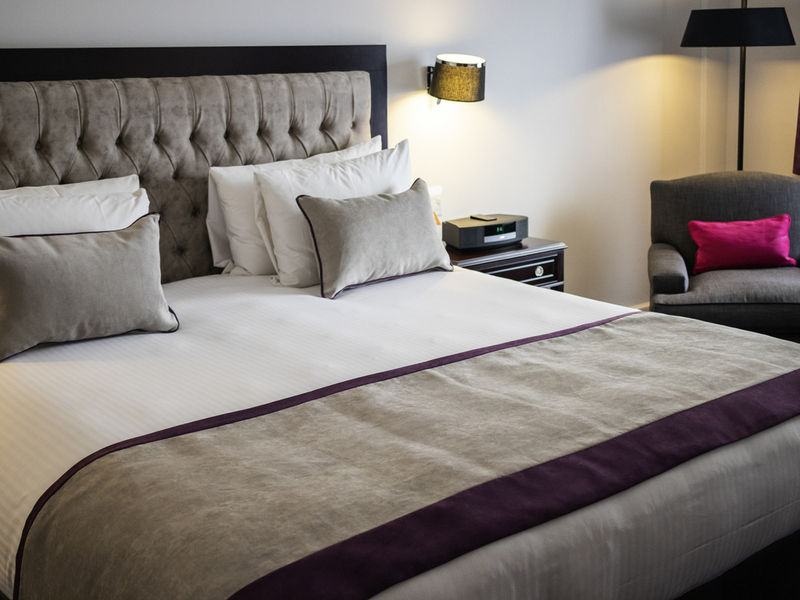 ft. (36 m²) with Sofitel MyBed, large bathroom with bathtub and separate shower, 32" LCD TV with cable channels, WIFI, hair dryer, minibar and tea and coffee making facilities. A modern, spacious room measuring 388 sq. ft. (36 m²) with workspace, Sofitel MyBed, large bathroom with bathtub and separate shower, 32" LCD TV with cable channels, WIFI, hair dryer, minibar and tea and coffee making facilities. Suite (560 sq. ft./52 m²) with integrated living area in the same space, Sofitel MyBed, large bathroom with bathtub and separate shower, Lanvin toiletries, 32" LCD TV with cable channels, WIFI, hair dryer, minibar and tea and coffee making facilities. Suite (775 sq. ft./72 m²) with separate living area, area with a dining table, guest bathroom, Sofitel MyBed, main bathroom with bathtub and shower, Lanvin toiletries, 32" LCD TV with cable channels, WIFI, hair dryer, minibar and tea/coffee. Unique Suite measuring 1012 sq. ft. (94 m²) on the top floor with panoramic views, living room and desk, Sofitel MyBed, large bathroom with whirlpool bath and separate shower, Lanvin toiletries, free WIFI, minibar and tea and coffee making facilities. Chef Javier Marrone captivates diners with dishes that are simple but bursting with character. Using regional products, seasonal ingredients and European techniques, his menu offers a varied range of flavors, textures and colors. Decorated in an English style, the Brick Bar is the perfect place to enjoy the best cocktails and an excellent Happy Hour after work. The Brick Kitchen is a restaurant that serves contemporary Argentinian cuisine. It is decorated in a European style and is the perfect backdrop for lunches and dinners for even the most demanding clients. 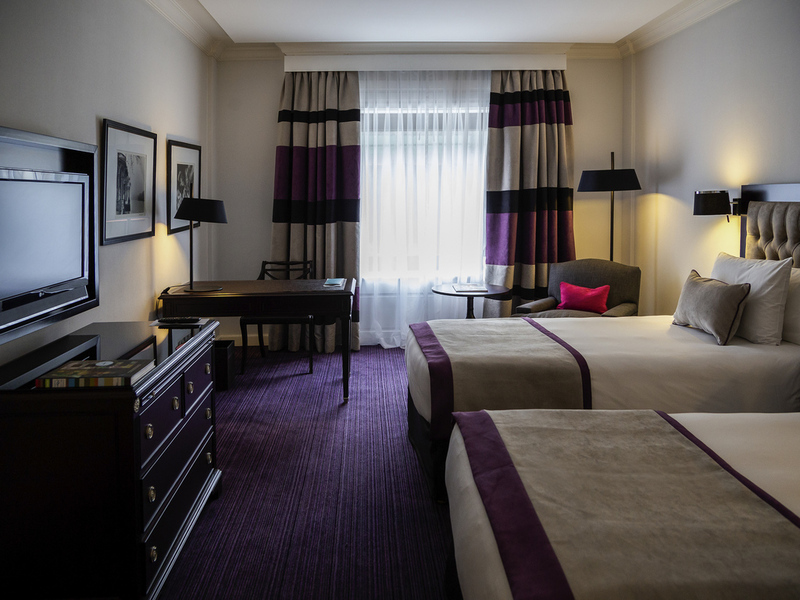 With magnificent views of the magical internal gardens, enjoy the stay of your dreams at the Sofitel Buenos Aires Recoleta hotel. 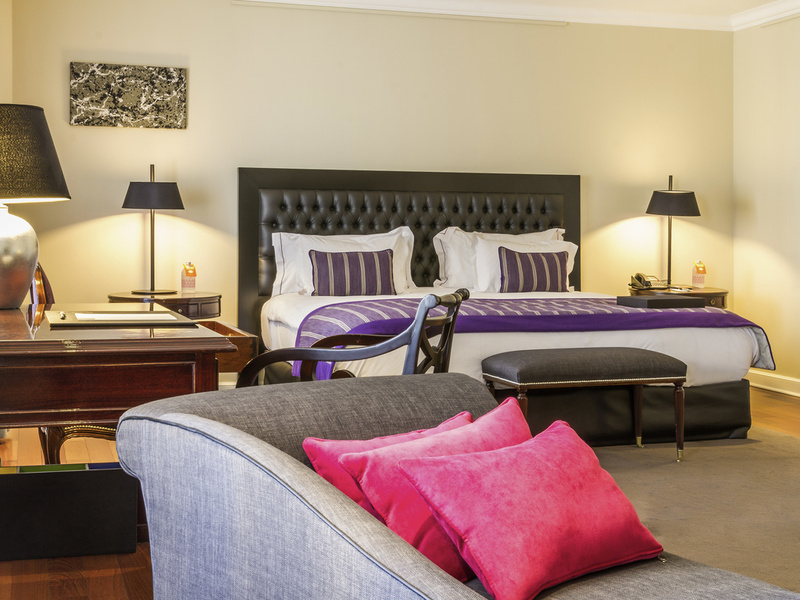 Against the romantic backdrop of Recoleta, an unforgettable honeymoon is guaranteed. To ensure your stay is complete, the hotel features a heated pool with lifeguards. The Fitness Center does not have wheelchair access.